All you have to do now is to slice the lemon into pieces, put all ingredients into the empty carafe and fill it up with water. Leave it like this for a bit so the water can take the flavour of the fresh fruits. 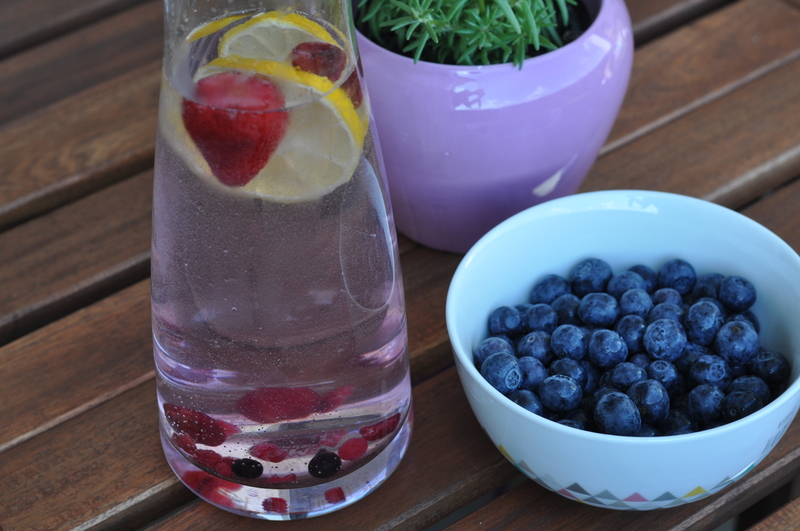 Your pimped water is also an eye catcher on the table if you have friends coming over – enjoy!